This Roland Garros bag holds 12 rackets along with other tennis essentials. The shoulder straps are padded allowing you to hold all the gear comfortably there are also carrying handles for those who prefer to carry the bag in that way. There are also smaller compartments to hold accessories such as keys and phones. The bag has 3 large compartments aswell as the smaller side pockets. This bag is designed after Nadal the 10 time French Open champion. Free delivery available on Babolat Pure Decima 12 Racket Bag! Order now! 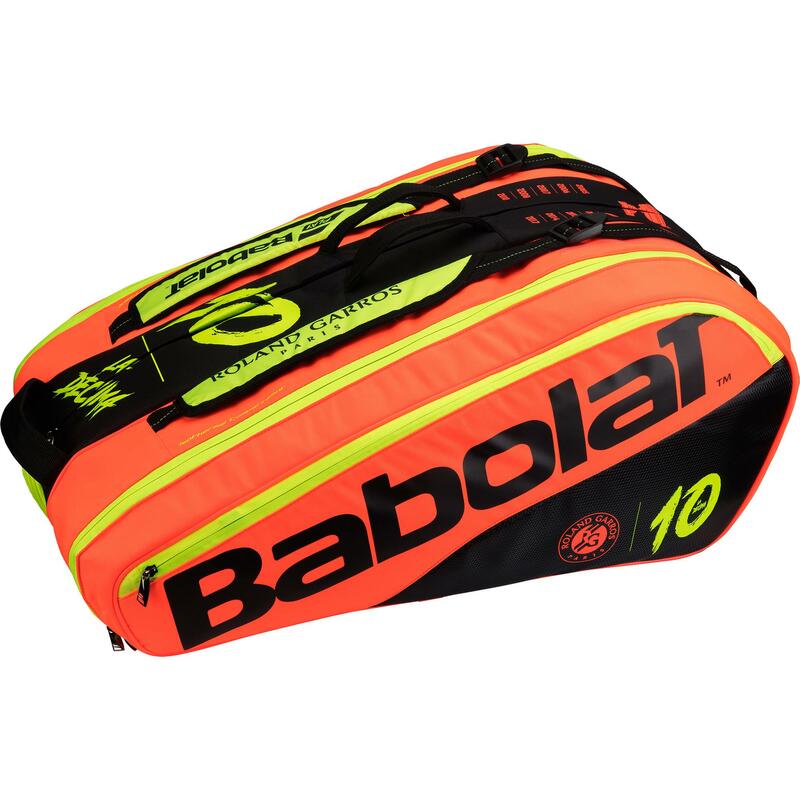 Do you own the Babolat Pure Decima 12 Racket Bag?